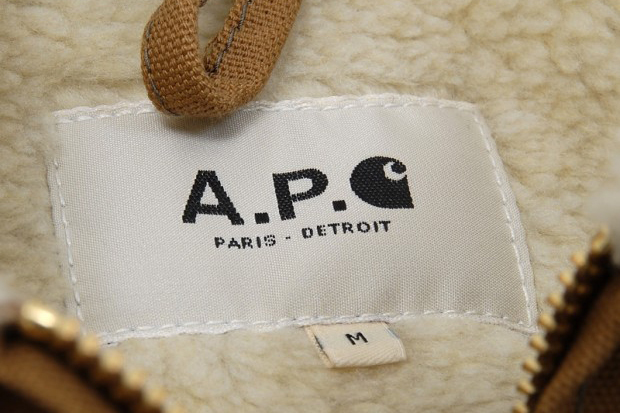 A.P.C. and Carhartt come together to create tough and rugged American work gear with a modern European feel. This beautiful and well made jacket is proof of a cool fashion collaboration. The Detroit Revisited Jacket is priced around $300 and available at one of our favorite online clothing retailers End Clothing. Below are some other A.P.C. x Carhartt items you might like.